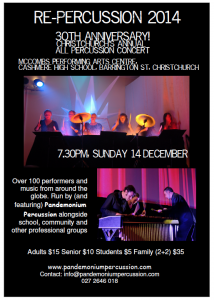 The annual Percussion Concert “Re-Percussion” is this Sunday 14th December! 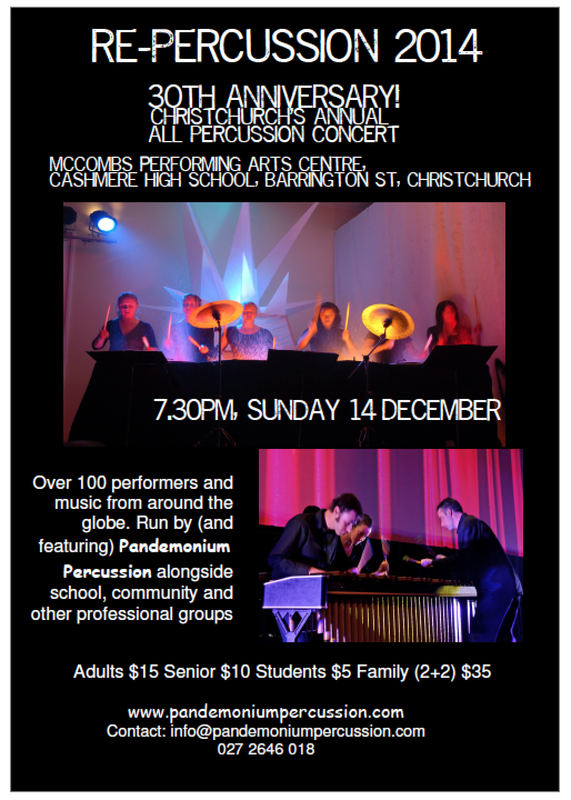 Featuring lots of great percussion groups from around Christchurch from schools, community and professional groups including PANDEMONIUM! Our group, combining percussion and ukuleles is on at the start of the 2nd half. Cashmere High School McCombs performing Arts Centre. Tickets sold at the door $15 adult, $10 senior, $5 student or family (2+2) $35. Performers free. December 10, 2014 in Marimba and percussion group, News.